"A gut-wrenchingly, heartbreaking and beautiful quest of faith"
Martin Scorsese's harrowing faith-based tale has been a three-decade sojourn for the award-winning director. After reading the book by Shusaku Endo, he started the long expedition to get this epic drama to cinemas and it is hard to know how to respond. There is a fine line between celebrating the artistic storytelling and the utter repulsion at the mistreatment of the Christians in Japan. If audiences go into the screening with the knowledge that it will take an emotional toll on their soul, then they may be able to find the balance between the art and the message. The accounts of Silence are based on missionaries work in Japan during the 17th century. Father Christavao Ferreira (Liam Neeson) was one of the original Portuguese missionaries to take the Gospel into the nation. Many of the Catholic priests who ministered to the Japanese people were persecuted to the point of death, but what ultimately happened to Ferreira was unclear. His last letter led the leadership of the church to conclude that he had been put to death, but his loyal theological students in Portugal had faith that their mentor was still alive. 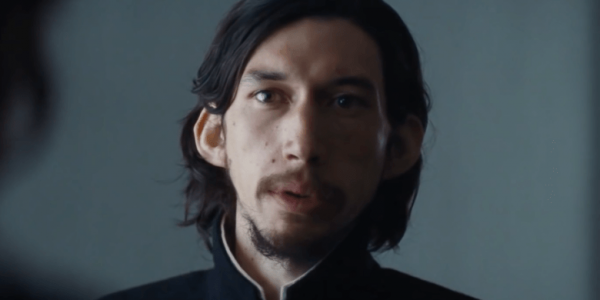 Father Sebastian Rodrigues (Andrew Garfield) and Father Francisco Garupe (Adam Driver) take the perilous journey to the East to find Ferreira. During their search, they are thrown in the challenging position of becoming the spiritual leaders of the Japanese church that has been driven underground. As the two young priests become aware of the desperate and devastating state of the work in the Far East, they must determine what they are willing to sacrifice for the sake of the people and their faith in God. Regardless of what belief system that audiences bring into the theater, it will be difficult for anyone to miss the significance of this perilous historic account. It exposes the dire details of the missionaries lives while serving in Japan and the devastating consequences suffered by those who chose to follow the message of the Bible. Due to the excruciating accuracy of every element of this glimpse into the human condition, very little can be celebrated in the whole of the film except the overwhelming depiction of faith. Scorsese draws on the visceral emotion at the heart of mankind and the life of the faithful and what they are willing to endure to proclaim their love for their Saviour. Even though it is played against the beautiful and lush coastline of Nagasaki, the landscape cannot mask the dark and desperate condition of these Christians. Garfield and Driver provide the necessary intensity to encourage audiences to endure the emotional body blows for 184 minutes. Garfield has been a superb and consistent force in cinema over the past few years with Hacksaw Ridge and 99 Homes. His performance proves that he is a bright light for the future of Hollywood and was matched in this outing by the support of Adam Driver. After the success of the latest Star Wars franchise, he has poured himself into dramatic roles to show his range of acting skills. Their physical, emotional and spiritual commitment to this project was evident in both performances. 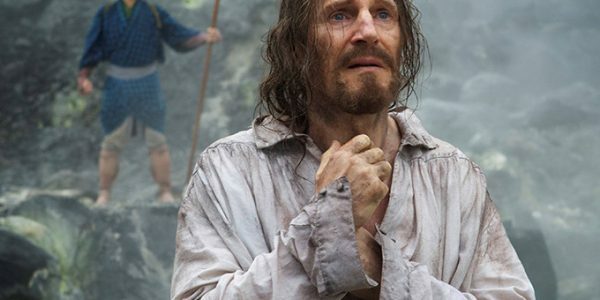 Liam Neeson is relegated to flashbacks and the final heartbreaking scenes of the priest's pilgrimage. He is not wasted in his role, but as the goal for this quest, his presence is evident in each scene leading up to his appearance. The performances of the western actors provide the necessary tent poles for this period piece, but the heart of the story is delivered by the Japanese cast. Most of the acting talent would not be familiar to non-Japanese audiences, but they provide the true vision for the plight of the fishing communities from the persecuted Christians to the tyrannical government authorities. 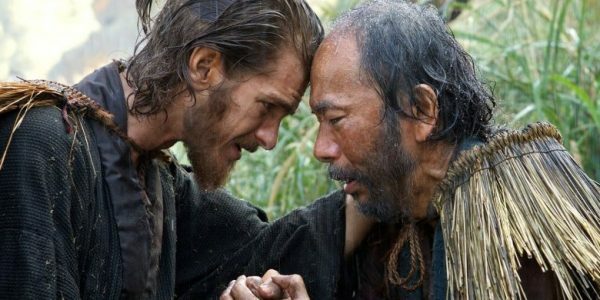 Silence may not be the feel-good film of the year, but essential viewing for those who want to see the lengths people have taken throughout history to live for their faith. Like Jesus, these men were able to reach out to fishermen and people of lesser distinction to spread the message of the Gospel. Even though the message of Bible did not seem to take root in this island nation, it did show that the message had the power to withstand the greatest of oppressions. Making this a cinematic journey that will only produce outrage and tears for many viewers, but despite these emotional reactions, it should be every adults must see list in 2016. It is guaranteed to lead to a multitude of discussions about humanity and spirituality over time.